Sarah Dawes writes for Wastecycle Ltd about all things related to recycling. Wastecycle is a leading waste management and ferrous and non-ferrous metal recycling company who are committed to their zero waste to landfill policy. Here, Sarah takes us through some alternative uses for metal. A lot of the metal we use comes from the ground, and then goes straight back into the ground when we have finished with it as part of landfill. A great deal of energy is used in extracting it in the first place, so why not invest in metal recycling and use what we already have instead of throwing it into landfill? Using recycled materials, including metals, instead of extracting or creating new ones cuts CO2 emissions by 200 million tonnes each year, according to EU figures. Add to this an 86 per cent reduction in air pollution, and a 76 per cent decrease in water pollution. In fact, scrap iron can even be used to detoxify industrial waste water. Reusing scrap metal helps to build and emphasise the circular economy, where we can keep reaping the benefits of metals that have already been extracted over and over again. 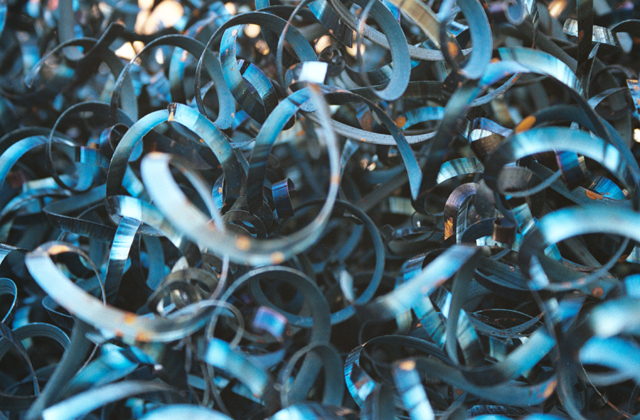 There are many uses for scrap metal, and the benefits for the economy and the environment of recycling it outweigh the sometimes difficult process of separating different types of metals during the recycling process. Scrap metal requires a much lower temperature for melting than ore metal, reducing both financial and environmental costs. Metal can even be made stronger than it was originally, allowing products to last longer. Using an Electric Arc Furnace, which can be fed almost 100% scrap steel, makes it stronger and more durable for use in products such as structural beams. Recycled metals are a major element of the transport industry, meaning you can literally ‘go further’ with scrap metal. They are used in building roads and tracks, as well as for the vehicles that use them. Cars are the most recycled metal product, with millions reaching the end of their lives each year. As a result of advertising the general public have become increasingly aware about the value of their scrap vehicles. This has fuelled the scrap car industry and whether it be for financial gain or for environmental peace of mind, the outcome is the same, more vehicles are being recycled. The steel from cars is separated from other materials and shredded, before being melted down and reused. About 25 per cent of car bodies are made from recycled metal, but this percentage could still be higher. Recycled metal is used in other modes of transport as well. Train tracks are largely made from reused steel, which is especially useful because of its potentially increased strength. Aeroplanes use aluminium rather than steel as they need to be lightweight. Tins cans are made of the same material, and make up a large proportion of recycled aluminium. Your soda can could have an exciting future ahead of it if recycled, travelling all over the world as part of a passenger plane or fighter aircraft! Metal furnishings are often made from recycled metals. The metal can be melted and reused to look as if it were new. However, furniture made of scrap metal in its previous form is becoming popular, and can make the most interesting pieces. Table tops using large clock faces, chairs formed from car bonnets, and chests made from aeroplane doors are some exciting examples of recycled furniture. 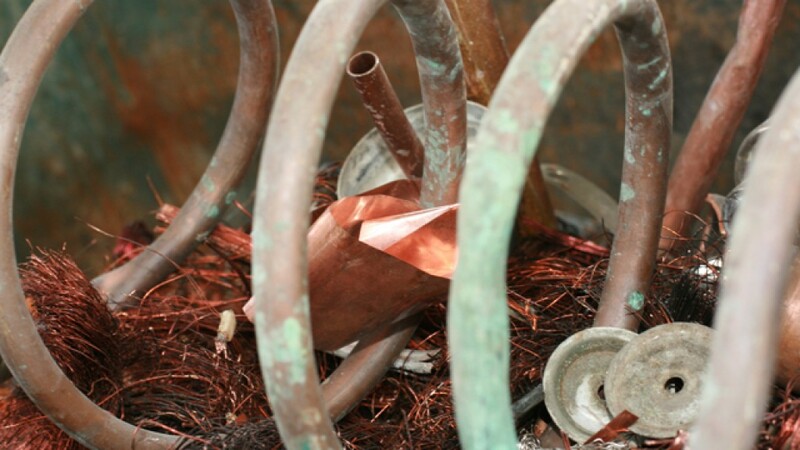 Scrap metal doesn’t always have to be used for industrial or manufacturing purposes. Some people like to get creative with old metal, making life-size transformers, all kinds of sculptures, decorative models and wall hangings. Individuals and artists alike are using recycled metal to decorate their homes and even make valuable works of art to sell. As the metal recycling industry continues to grow, I’m sure there will be even more uses found for scrap metal in the future. So, before you throw that tin can in the bin, think about the future life it could have and choose to recycle instead! To find out more around the issues of scrap metal and it’s value, have a look at our Metal Thieves blog post.